Thanks to the international franchise Masterchef, chef as a profession is now considered more serious in India. The international franchise Masterchef has lent glamour to the term ‘chef’ in India, thereby bringing a shift in the perception towards the profession, says Pankaj Bhadouria – winner of the first season of MasterChef India. “I must say Masterchef has actually glamorised the word chef in India. Earlier it was not the profession to be seen, especially for women. But now things have changed,” said Bhadouria. “Masterchef has been a worldwide phenomenon and in India too it has been very successful,” Bhadouria said on the sidelines of a recently held Knorr Masterclass session here with English-Australian chef, restaurateur and MasterChef Australia judge Gary Mehigan. 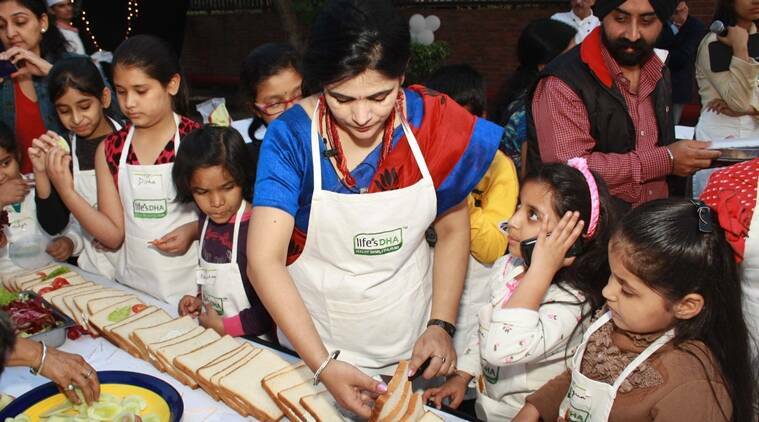 A Lucknow-based chef, Bhadouria is also mother to two teenagers. She says that as a winner of Masterchef India, she got a platform to achieve her dreams and follow her passion. She has shared some of her experiences in the form of her first cookery book MasterChef Cook Book. She is currently working on two more books. Her second cookery book was a little book with 16 sweet recipes for little girls to do for Barbie Dolls and came as a part of ‘Barbie – I am a Chef’ kit. She is also hosting cookery shows and some of them are Chef Pankaj ka Zayka and Sales ka Baazigar. Bhadouria also believes her life took a 360 degree turn after “Masterchef India”. “It has given me an opportunity to do what I really like to do. I have three shows on air currently. It (Masterchef India) helped me reach out to so many people,” she said, adding that fame has not changed her responsibility towards her family. “I am still a housewife, a daughter-in-law, and a mother at home. Post Masterchef, I didn’t change myself at all. I am what I am,” she said.